The ACL is the main ligament that supports the knee when twisting (football, skiing etc). It is frequently torn and does not heal. 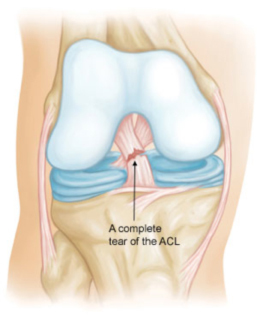 There is a very high chance of Meniscal tears (>90%) in those who play sports after ACL injury or have instability. Common problems are giving way without warning, instability, pain and swelling. It is not seen on X-rays and commonly missed initially. MRI scans show this and other associated injuries very well. 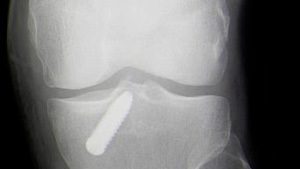 Many patients require ACL reconstruction to avoid more damage. 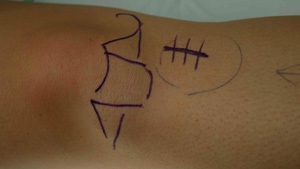 This is best done using your own tissues (Hamstring / Patellar tendon) depending on the individual patient.